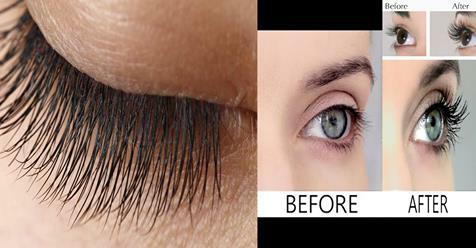 Many women are worried by their thin eyelashes and want to make them thicker. Thicker eyelashes look great and immediately make the person more attractive. The thinningis caused by numerous factors such as genetics, age, some medical conditions, nutritional deficiency, eye infections or hormonal changes. They can also thin out and fall off if you rub your eyes often or go to sleep without removing your makeup after a night out. Proper care for your eyelashes is needed to keep them healthy, and should be the first step towards thicker eyelashes. Luckily for you, we also have a few home remedies which can help you! However, you should know that these remedies will provide different results for different people. You should also give them enough time to work – they may need weeks or even months to provide results, and you may need to try several remedies to find the one that works!